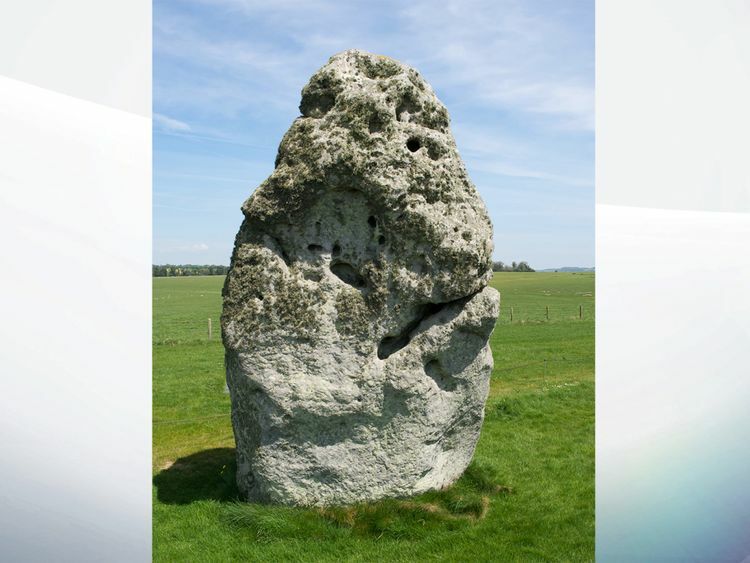 Some of the largest rocks at Stonehenge were there long before humans and are not likely to have been moved to the location, an archaeologist says. 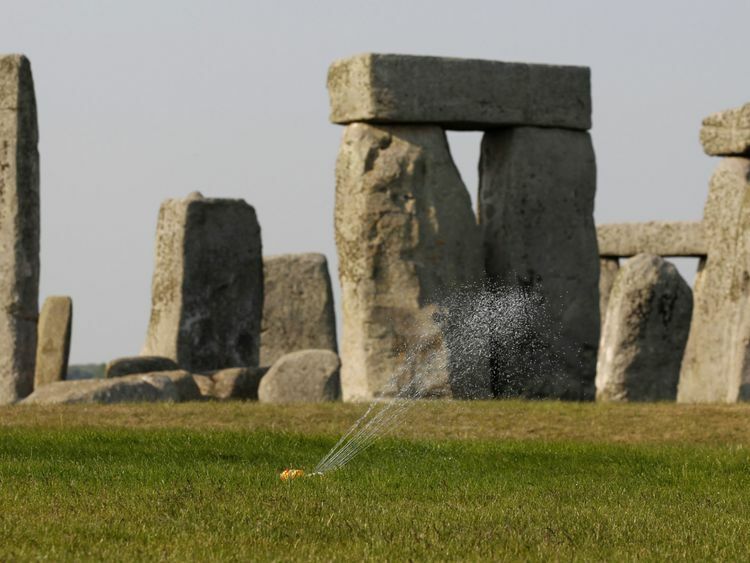 Archaeologists and antiquarians have for centuries wondered why Stonehenge is where it is and why the largest stones were dragged miles to a hillside on Salisbury Plain. It had been thought those stones, called sarsens, were brought from the Marlborough Downs, 20 miles (32km) away.Mike Pitts, one of only a few archaeologists to have excavated within Stonehenge, has found evidence that two of the largest sarsen stones have been there for millions of years.The largest megalith at the site, the heel stone, which aligns with sunrise on midsummer's day, is 75 metres from the centre of the stone circle and weighs 60 tonnes. Unlike the other large sarsens, it has never been shaped or dressed.Mr Pitts found a hole that was up to six metres in diameter while excavating beside the heel stone.The pit, which has been back-filled for years, was too large to have been the "socket" for a standing stone but big enough to have contained the huge boulder itself.It suggests the stone was lifted out of the hole and stood upright, but not brought from elsewhere.Another unexplained hole, found between two of the stones in the central 'horseshoe' of sarsens, poses the theory another of the largest stones - stone 16 - may have originated at the site. The two holes also appear to align with sunrise on the summer solstice. It had been thought that the sarsens did not occur naturally on Salisbury Plain but recent discoveries have dispelled that theory.Sarsen is a layer of super-hard sandstone that formed millions of years ago over the chalk that makes up the rolling hills of Wiltshire.During the Ice Age, the permafrost that covered Salisbury Plain repeatedly thawed and froze, shattering the layer of sarsen and over millions of years the stones sank below the surface leaving only a few fragments visible.Stonehenge contains other stones, called blue stones, which most archaeologists believe were brought to the site from Wales by humans. 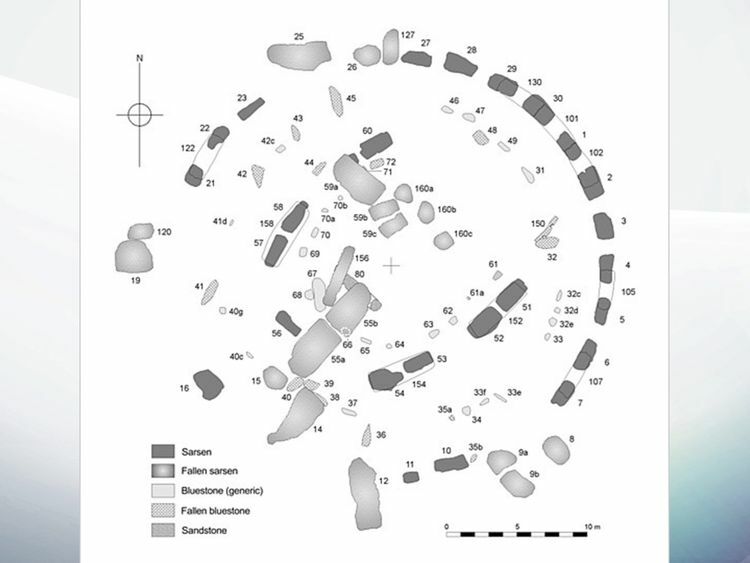 But, in a report published in the journal British Archaeology, Mr Pitts says it was the sarsens that made Stonehenge the centre of the prehistoric world, not the other way round.He said: "The assumption used to be that all sarsens at Stonehenge had come from the Marlborough Downs. "The idea has since been growing that some may be local and the heel stone came out of that big pit. If you are going to move something that large you would have to dress it before you move it to get rid of some of the bulk. "That suggests it has not been moved very far. It makes sense that the heel stone has always been more or less where it is now, half-buried."